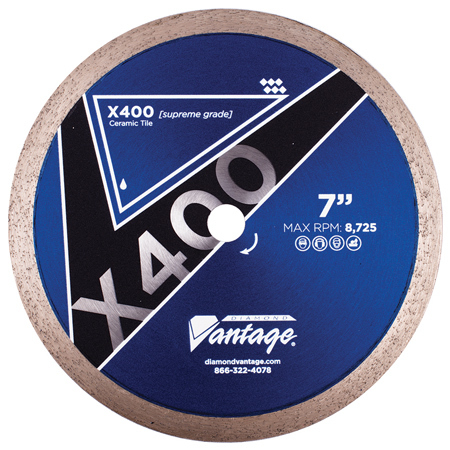 Not recommended for radius cutting. 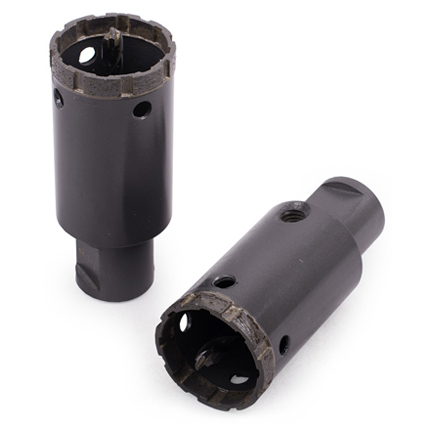 10mm (.394") continuous rim height, for unbelievable long life. 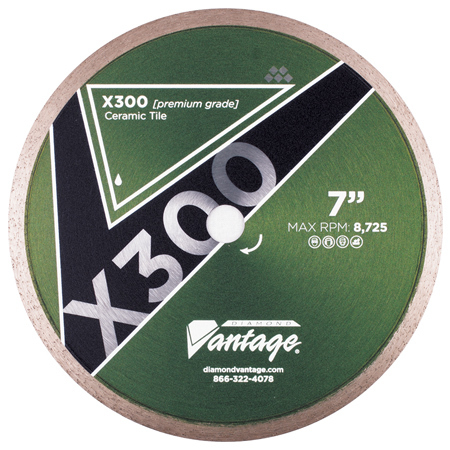 Premium grade diamonds and technology make this the best ceramic blade on the market. Designed for the harder and thicker porcelains now on the market. 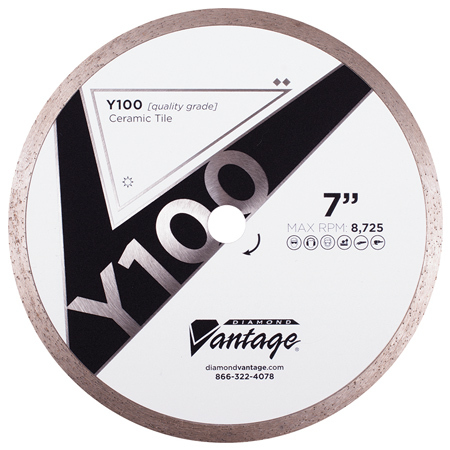 10mm (.394") continuous rim height, incredible long life for the hardest porcelain. Do not use for radius cutting. 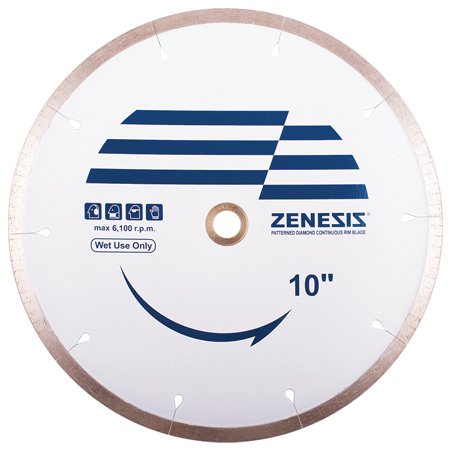 Unique slot and rim design give the ZENESIS™ Continuous Rim Blade unparalleled cutting precision and performance, all without breaking a sweat. 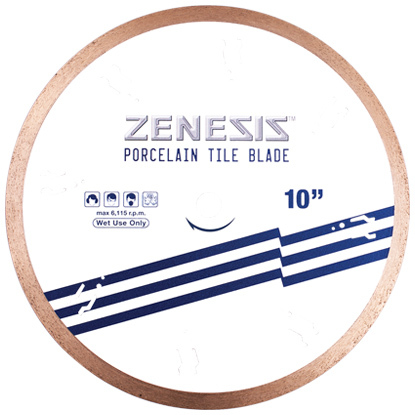 And since the blade incorporates ZENESIS™ pattern technology, fabricators can count on exceptionally smooth, chip-free cutting of porcelain tile, granite and other hard materials. Use 4", 4.5", 5" and 6" wet or dry. All other sizes must be used wet. 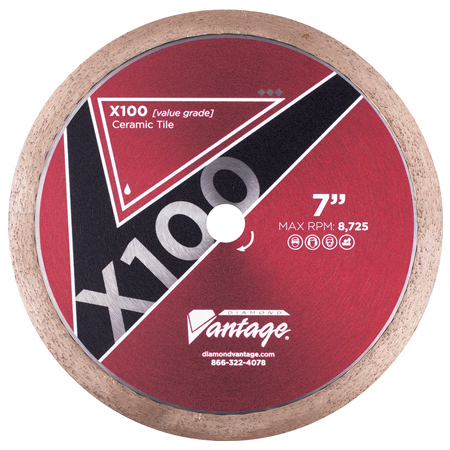 High concentration of fine, top quality diamonds give the smoothest cut of any blade we offer. Badly chipped glass tiles are never acceptable. The solution is here. 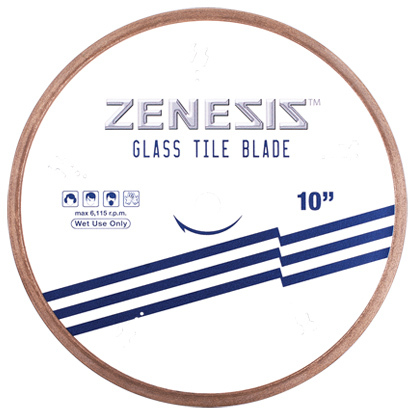 Great for chip free cuts on all tiles and natural stone. 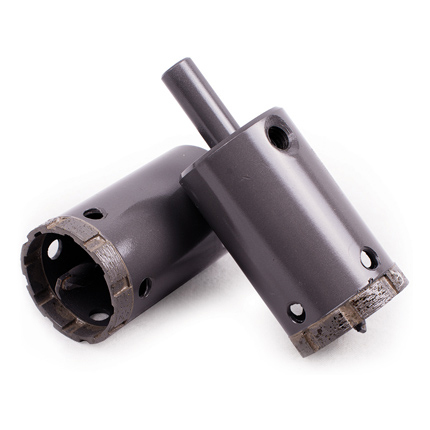 Designed for small hand held machines to run dry at high RPMs. 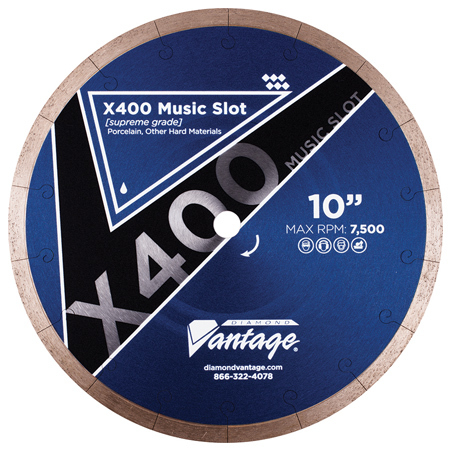 Large circular laser cut outs help to keep blade from overheating. 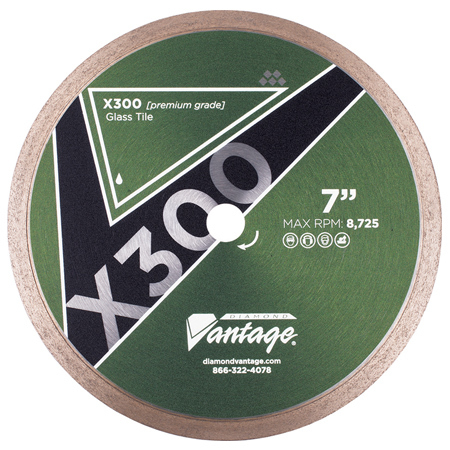 This blade is the go-to for just about everything. Cuts the hardest tiles and stone. 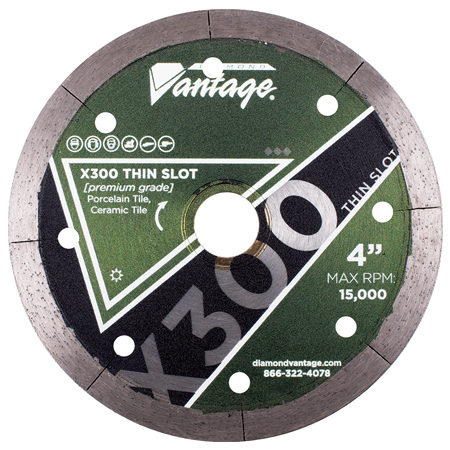 Our testing on 3/4" porcelain pavers proved this blade to be the best against all our competitors' porcelain blades. 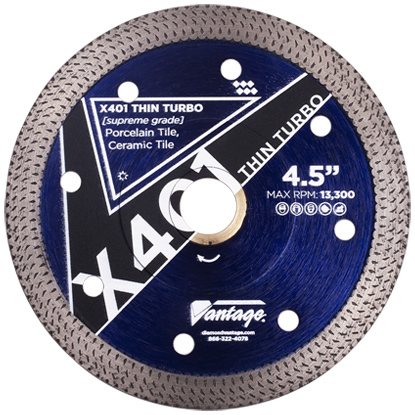 The clean cuts from the unique thin turbo rim design will surprise you. Good for a variety of materials like ceramic tile, Saltillo tile and Cantera stone. 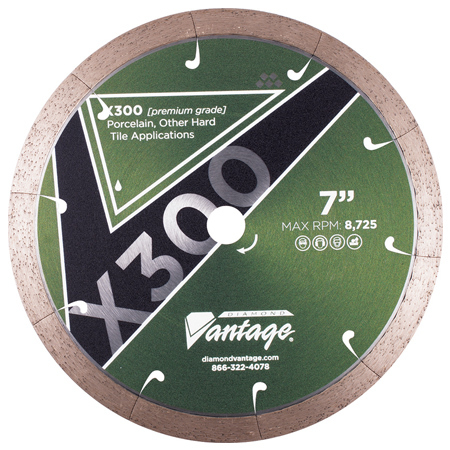 This professional grade continuous rim blade uses the most current technology to be able to cut the hardest materials chip free without water. Available in sizes 4" to 14".